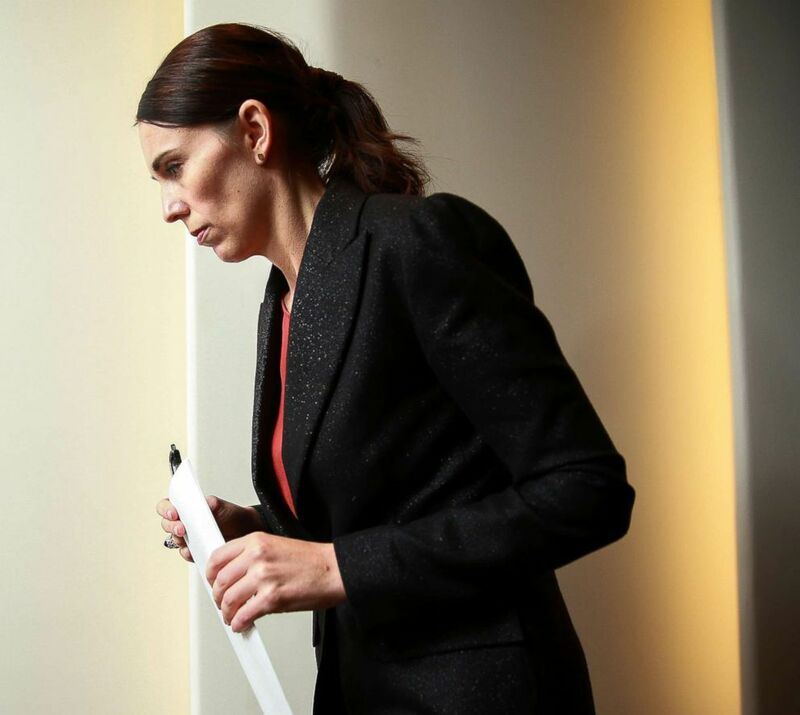 Prime Minister Jacinda Ardern exits after a press conference at Parliament, March 15, 2019, in Wellington, New Zealand. 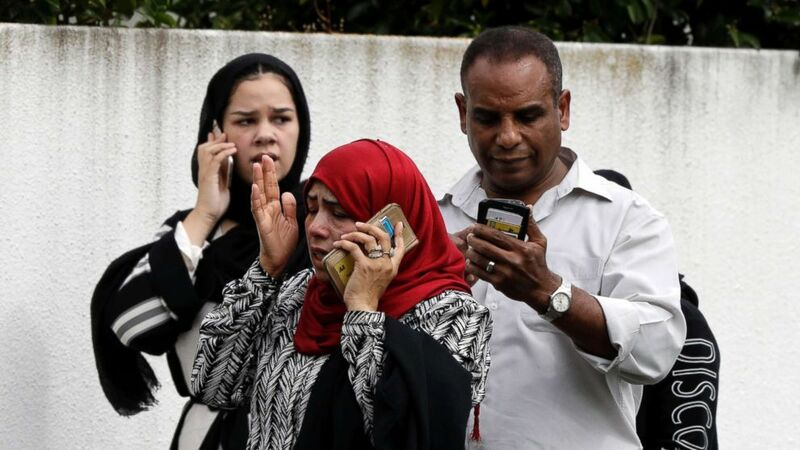 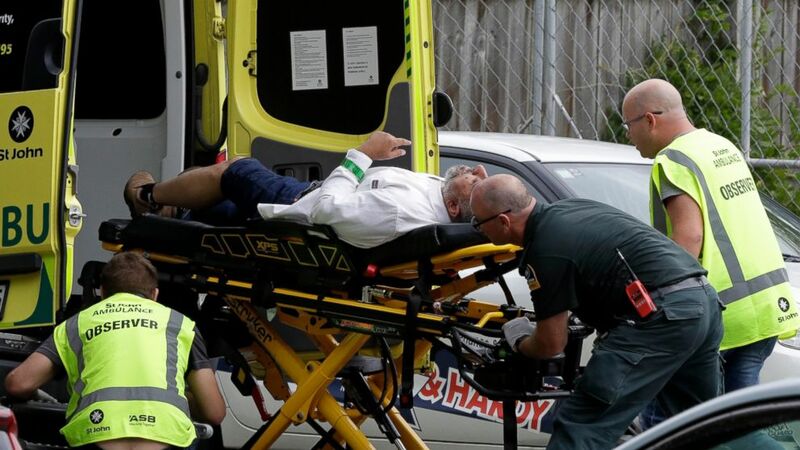 A man reacts as he speaks on a mobile phone outside a mosque in central Christchurch, New Zealand, March 15, 2019. 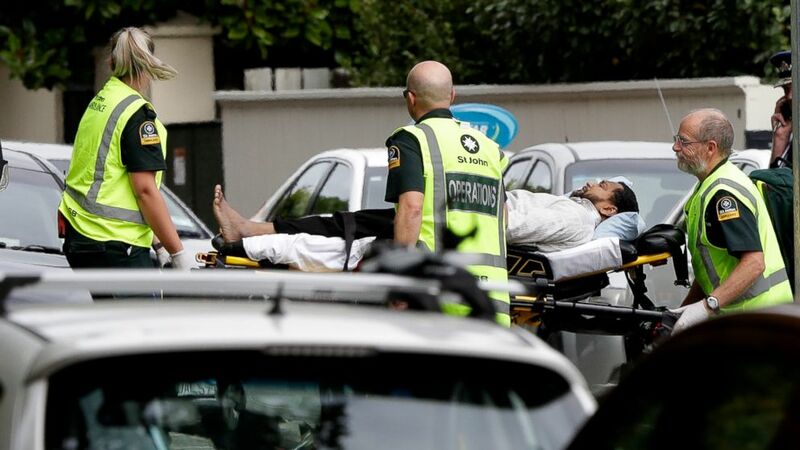 People stand across the road from a mosque in central Christchurch, New Zealand, March 15, 2019. 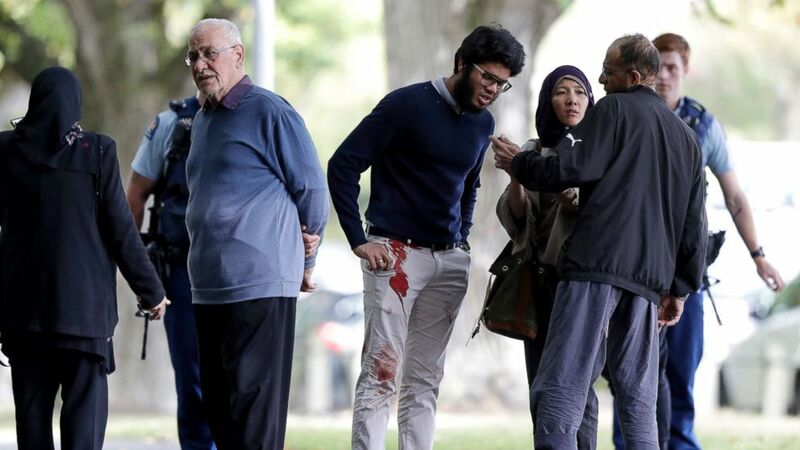 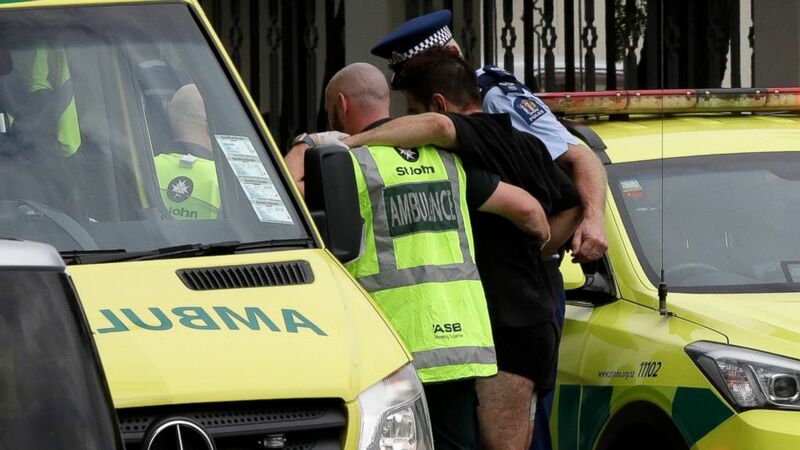 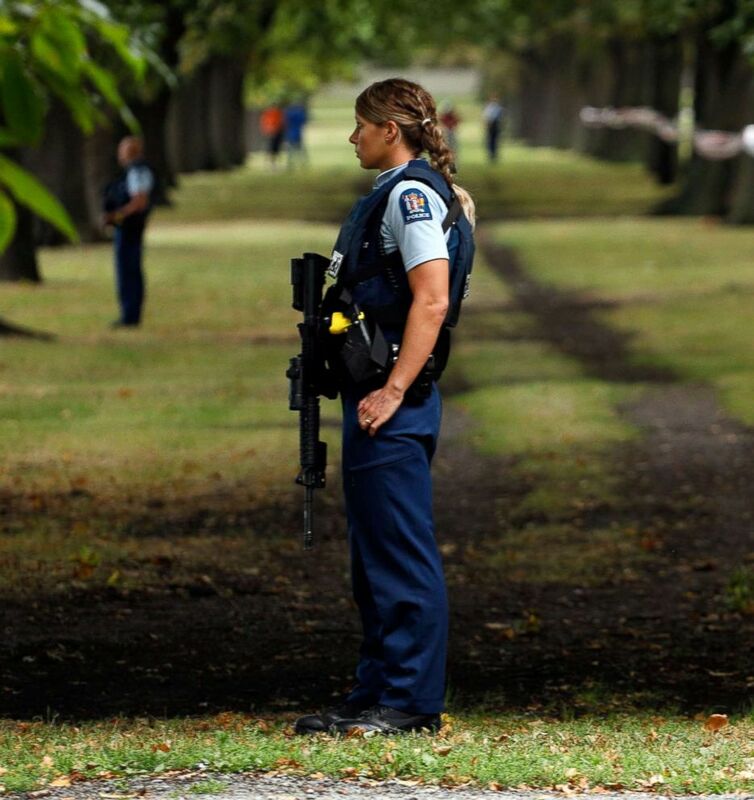 Police officers guard the area close to the Masjid al Noor mosque after a shooting incident in Christchurch, March 15, 2019.